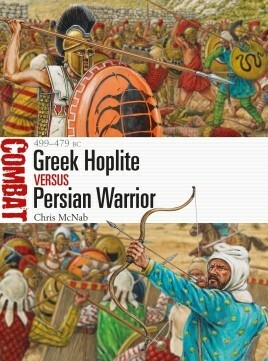 Book Review: Greek Hoplite vs Persian Warrior by Chris McNab. The Combat series, when it is done right, is an excellent format for the nuts and bolts of Battle. Instead of grand strategy we see how individuals dealt with it. In the case of the Greek and Persian War I think author, Chris McNab has done it right, the attraction of this title is for me the glimpse it gives on the Persian side of the combat. Much like the Romans we have a schoolboy image of Ancient Greek Warfare. The rundown of the classic Hoplite and his tactics is not hard to grasp, as is the basics of why they successfully defended themselves against the Persians. Very little credit is usually given to the invaders, they are either hopelessly outmatched or their capabilities are stupidly overestimated so as to inflate the reputation of the Greeks. Here the author does a good job of observing the simplistic nature of the Hoplite system against the more sophisticated Persian model, while at the same time noting that the Persians had no binding system that would train their giant vassal armies into a unified host, and that the Greek reliance in heavy infantry was a factor to their advantage. What will become clear here is not the superiority of the Hoplite over the Persian, it is the factors in aid of the Hoplite. The peninsula of Greece is a poor place to fight if your army needs room to manoeuvre. The Greeks had no cavalry and little by way of archers, they had one tactic, to get as many heavy infantry into combat as possible at the same time. The Spartans were noted as excellent in war not only because their citizens were trained from birth, but because to everyone else, the art of war consisted of forming up in ranks, eight odd men deep and then walking in a straight line towards the enemy and battering him until he ran away. Persian troops, drawn from many fighting cultures, preferred the use of masses, cavalry and range firepower to break up an enemy, with key units in reserve, before a final rush. Technically this should have had more flexibility, but not when confined to narrow beaches, or mountain valleys, or when Persian commanders would insist on allowing themselves to be fixed and charged by the enemy. Notable also is much evidence of what the staff colledge would call command and control. The Greeks had no real answer to cavalry, or massed archers, and the Persians had no answer to heavy infantry. In the end the Greeks made the right tactical decisions and the Persians made the wrong ones. This book highlights these factors in a bright, well written way. It falls down a little in the fact that it strays away from being a combat book, not really discussing ways the opposing forces used their weapons in combat with any depth, and this is a flaw in the Combat series in general where authors take on subjects that would require a great deal of focus on experimental archeology. 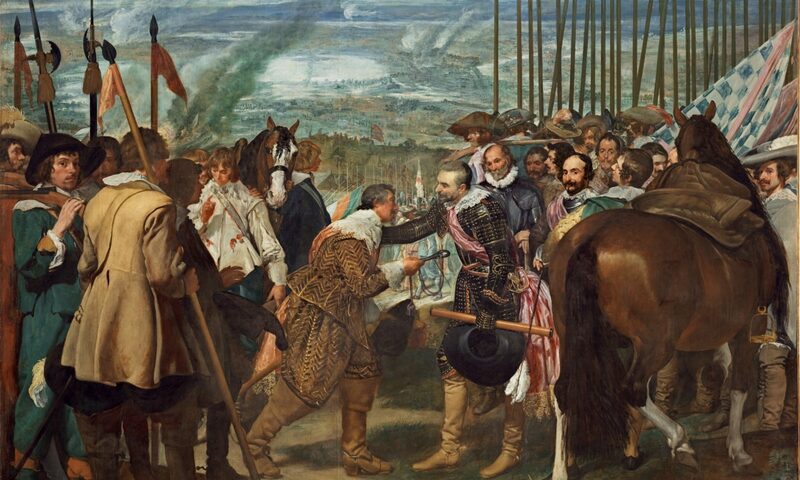 Nevertheless, both sides’ weapons, training and basic statistics are considered, and three well known battles are given to exemplify what elements made up a battle in this time. Marathon, Thermopylae and Platea. What emerges from these engagements is what has already been observed, though a few interesting thoughts occurred to me as I read the familiar retellings based mostly on Herodotus. Foremost is the length of some engagements, indicating that Persian infantry could not be cut through in the commonly thought knife through butter manner, but could sustain a prolonged engagement and presumably heavy losses throughout each of the three battles. Second, that Platea offers the most interesting examination of combat due to the nature of the ground suiting both sides, and the Greeks almost coming undone by active Persian use of cavalry and a refusal to engage until an advantage presented itself, had perhaps the Persians been faced with less crack troops on the right, we might have had a fairer appraisal of the two styles of fighting. But there it is, the book cannot help ending up one sided in the sense that the Greeks always get the better end of the fight. The author warns the reader about this in his analysis and very properly points out that the Greeks adopted widespread light infantry tactics in the wake of the invasions. I had expected to see some discussion about how the Immortals were utilised at Thermopylae but the focus is generally on the Greeks. It is just possible that because the Greeks told the story, we aren’t getting the other half and never will. The scarcity of evidence for Persian arms and warfare and Persian voices is crippling to being able to fully appreciate what was going on, for with the Greek sources as our only guide we must understand that any favourable advantage the Persians showed would be played down. And considering how vast and multi-ethnic the Persian forces were this is perhaps not so surprising the difficulty of trying to examine their forces. But this book nonetheless gives a flavour of what was going on and does give the much denigrated enemies of democracy as detailed an overview as space allows. I’m not sure if Adam Hook was given the best brief for this book, there is something in the scale of the split screen composition that makes it look more like a reenactment than a battle, but the Thermopylae scene is interesting for the inclusion of the famous wall. Honesty demands I inform readers this is a fairly by the numbers retelling of the major elements of the pre Macedonian Persian Wars, but it nevertheless is of interest as a window onto this conflict.